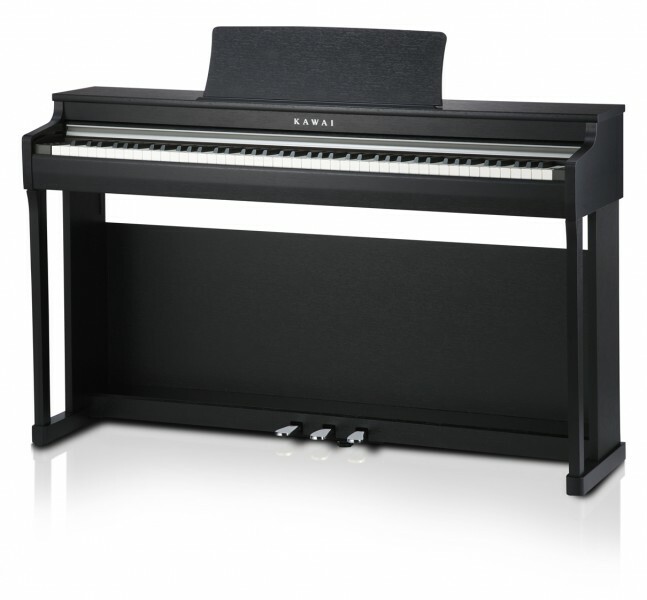 Kawai’s latest CN Series model CN25 features a realistic, 88-note keyboard, beautiful grand piano sounds, and headphone jacks to avoid troubling family members and neighbours – all within an attractive, affordable instrument that will never require tuning. In addition to faithfully recreating the touch and tone of an acoustic piano, the CN 25 boasts a variety of additional features suitable for different playing abilities. The convenient lesson function allows aspiring pianists to learn piano with classical etudes and songs from the popular Alfred course books or Beyer, Czerny and Burgmüller, while Concert Magic encourages even non-players to enjoy making music by simply tapping the keyboard with a steady, rhythmical beat.